“I wake up on mission days and remind myself that on that very day, someone will hear the voice of a loved one for the first time in years – or possibly, for the very first time,” declared Dave Carr, owner of McGuire’s. “The moment when someone hears better is absolutely the most rewarding part of my job, and missions are especially gratifying because it’s possible that many of these patients could not otherwise afford these hearing devices,” he added. The mission was sponsored by the Foundation for Sight and Sound (www.foundationforsightandsound.org) a non-profit group dedicated to helping hearing and visually impaired individuals. 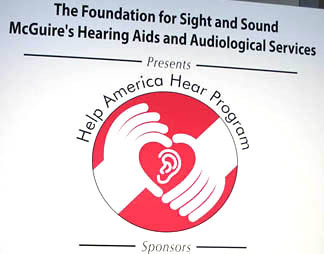 This was the second “hearing mission” sponsored by McGuire’s Hearing Aids and “The Foundation for Sight and Sound” at Montefiore. Support also came from community organizations such as the Bronx Rotary Club and the Bronx Chamber of Commerce.